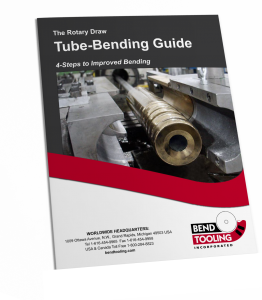 The thinning and stretching of the extrados of the tube while under the force of the bend forming process. If the elongating force exceeds the elastic limit of the tubing material, the tube will split or tear. Normally the elongation of tube is specified as a percentage of its original length.